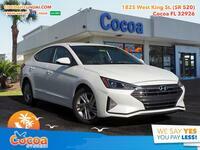 There are a number of sedans on the Hyundai lineup, and while the Sonata might be the most instantly recognizable of the bunch, the Hyundai Elantra has certainly done its best to step up to the plate in recent years. The stylish compact sedan was just completely redesigned for the 2017 model year, and we couldn’t be more excited about its elegantly sleek, modern design. 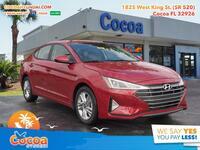 But it has plenty of impressive specifications to boot, which is why we thought we’d compare it to one of its biggest competitors, by pitting the 2017 Hyundai Elantra vs 2017 Toyota Corolla. 110.2 cu. ft. Passenger Volume 110.5 cu. ft. The table above shows you that the two vehicles are fairly similar to one another, but perhaps not quite as similar as one would expect considering the popularity of the Toyota Corolla. The top row shows that the Elantra gets an extra two miles to the gallon more than the Corolla does, on both highways and city streets combined. That has the potential to translate to some pretty good fuel savings over time, which nobody would complain about. Yet even though the Elantra offers superior fuel efficiency, it also offers superior power in the form of an extra 15 horsepower. While 15 hp might not sounds like a ton, it’s certainly enough to give you a noticeable boost in power compared to the Corolla. 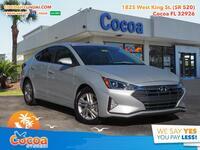 But the engine isn’t the only thing the Elantra has over the Corolla, as its offers more space as well. Space is important regardless of the size or shape of a vehicle. Everyone wants to be able to stretch out a bit, and to be able to fit everything it needs to in the car’s trunk. 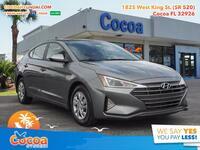 The Elantra offers nearly a full cubic foot and a half more cargo space for groceries or luggage, which is quite a bit of space when it comes to packing for a road trip or a particularly large store run. However, the Corolla does have one area of advantage on the Elantra, and that’s in terms of cabin space. But an extra 0.3 cu. ft. would hardly give your backseat passengers enough extra space to be noticeable. 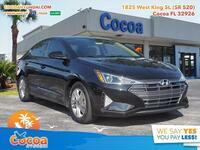 So if you think the 2017 Hyundai Elantra is the compact sedan for you, be sure to schedule a test drive right here on our website.